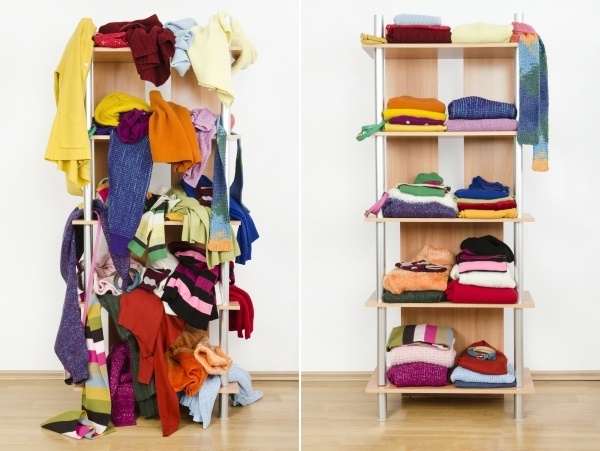 Everyone knows that all too often the prospect of closet organization is daunting. It’s easy to allow things to pile up in there: out of sight out of mind! 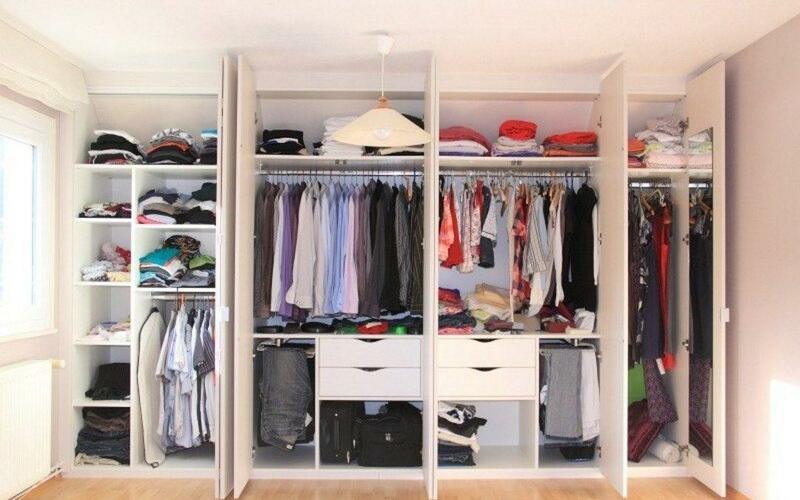 Divide the closet into sections and devote a certain amount of time each day to organize a section. It can help the task seem less overwhelming. It’s important to come up with a cleaning organization system to keep the closet as organized as possible. One of the best ways to keep space clean is to produce boxes and baskets of varying size. Boxes can store unused things after closet organization and cleaning. Baskets are cheap (they can be found at Dollar Tree, Dollar General, Hobby Lobby and Michaels). Many sizes, shapes, and styles can be found in an endless array of colors and patterns. Another good “cleaning out your closet” technique is the use of labels. Things may be kept in proper place to be found easily. A label can prevent the boxes from becoming cluttered. Labeled boxes can ensure that the boxes are not simply used to hide the clutter but rather to prevent it. By ensuring that every item has a place where it can neatly be stored and easily reached. The most important tip for cleaning out the closet is to rotate things around as seasons change. Homeowners can keep the items that are not currently in season. This makes it easier to prevent clutter and messiness from building up and keeps the items most frequently used front and center and easily reachable.Looking at how retailers store and display their merchandise is always a good strategy. Retailers are always attempting to maximize the amount of product they can store and display while at the same time being careful to do so in ways that don’t harm the merchandise. Freeing up large amounts of space that the closet owner didn’t even know he or she had!